Floating metal drones and a heavy auto shotgun... Sounds about right! I haven't been paying much attention to how this has been going for a while and I'm just blown away by the work that's been done. It's looking amazing! Thanks for the comments guys! Here's some more progress from me, a newly completed map. 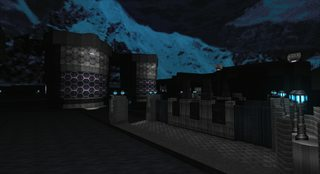 This is the first complete Triton-themed map, called "Cryoferron". The Triton theme will be made up of super-clean, high-end looking techbases nestled in frozen outdoor areas (or that's the plan anyways). These maps will make up the first half of episode 2. 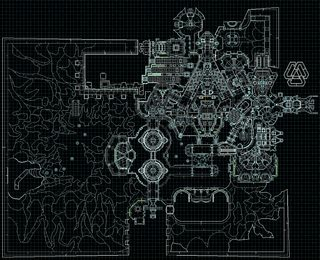 Currently this map doesn't have gameplay elements (we're still fleshing some of that stuff out). 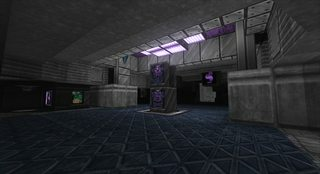 But I anticipate that I'll be adding gameplay stuff to the maps pretty soon. Cryoferron ended up being kinda large, and it is actually linked with Romeda (another kinda big map, relatively speaking). 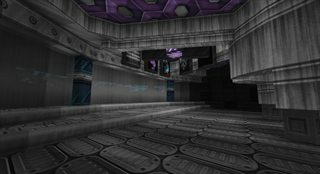 I made both of the bare layouts for those two maps around the same time, and they were originally going to be for a potential Doom 64EX project. There will likely be more large maps like this in Supplice, but I have made layouts specifically for this project that are smaller. 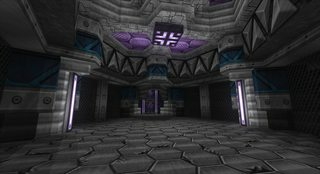 It took me a while to get another map in production and finished since my last update. But with D64D2 out of the way, I'm looking forward to cranking out maps a bit faster in the future. Maps like that justify delays. And so pretty. I'm amazed you can get so much depth out of the limited pallette. How many linedefs are that? Mechadon... 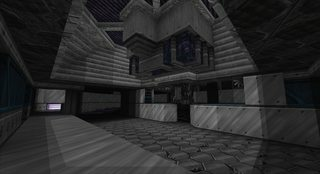 I don't know why, but your mapping style just reminds me of places I've imagined (vaguely or not) in my mind... I know I've said it before, but it's still true. Those recent screenshots (especially 3rd row, left column) just triggered that in my mind again! How many maps are done now? Thanks again for the kind words guys! Graf Zahl wrote: Looks great. Right now its at 24880 lines/43945 sides. That number probably won't change much, but it will increase slightly once I finish up the gameplay pass. DoomKrakken wrote: How many maps are done now? 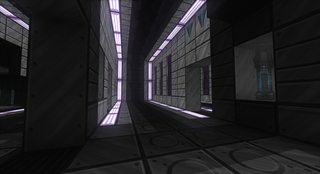 There's roughly 4 SP maps finished (2 are much older and I'm not sure if they will get used or not). I have 5 layouts blocked out and ready to populate. On the DM side there are 13 maps mostly finished and 18 bare layouts. Although the DM portion of the project is up in the air right now since we dropped Zandronum compatibility. Mechadon wrote: Although the DM portion of the project is up in the air right now since we dropped Zandronum compatibility. Heh, that might actually happen on some level. There are probably 3 or 4 relatively large DM layouts that I made that could be converted to SP with some extra work. 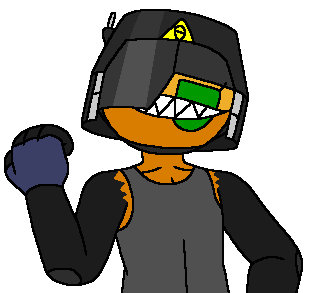 Actually what I would like to eventually do is stick with the DM pack idea, but with simplified versions of the weapons and powerups. I really love making DM maps and I would like to make use of all the awesome resources for a proper map set. This probably can't happen until most of the resources are in place and somewhat finalized. But its something I have my sights set on. I'm not sure how COOP support is going to work though. The problem we had with Zandronum boiled down to it behind behind GZDoom in terms of features. Pillowblaster was having a really hard time getting certain things to work in it (and we also had no guarantee that things would work smoothly in an actual online environment). 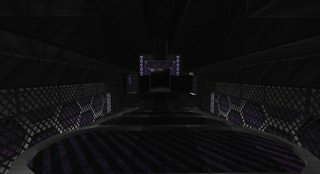 So we decided to just drop Zandro and go with pure GZDoom compatibility to keep things simpler. 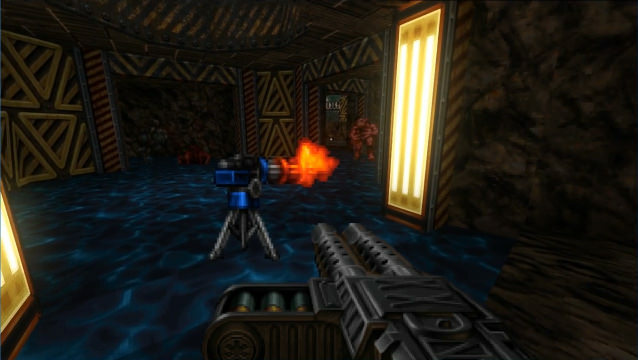 I'll be honest, I really *really* want the weapons and enemies as a seperate mod after release now that I've seen them in action. 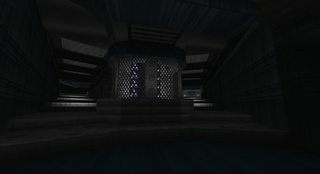 Gideon020 wrote: I'll be honest, I really *really* want the weapons and enemies as a seperate mod after release now that I've seen them in action. The gun sprites are just unbelievable. The amount of effort shows. I'm confident that when this is released it will set the bar. Currently, Valiant is my top wad of all time and I'm fairly certain this will take that spot from what I've seen so far. 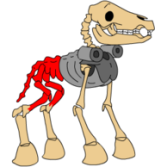 Heheh that's some well detailed trusty metal friend, there! I guess that turret is invincible? Probably has infinite ammo? Anyway what's next? You can upgrade this gun like some kind of texan engineer?